I’m not going to lie; these were not my favorite bath salts. They were pleasant, but not my favorite for a couple reasons, which I’d like to jump right into. First of all, I have mixed feelings on bath salts, especially ones that bubble. 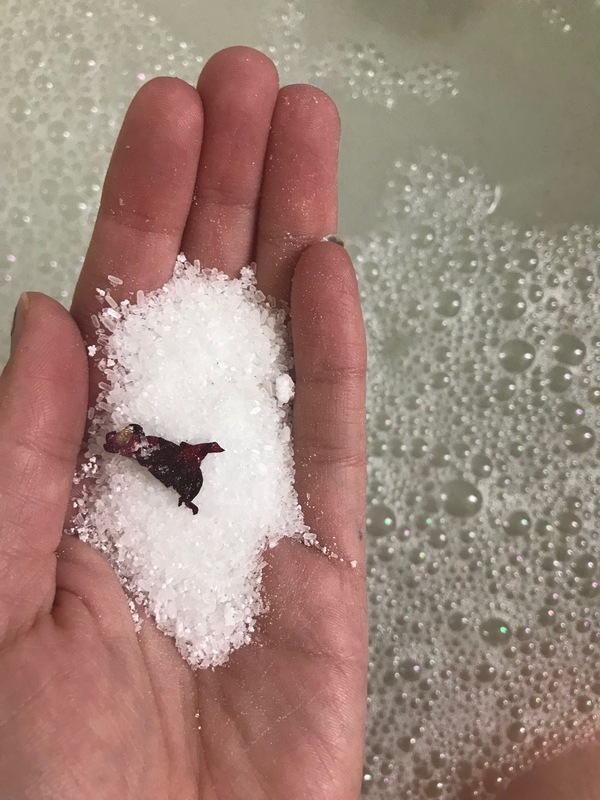 To me, bath salts aren’t for bubbling, they’re for helping with sore muscles. And I just am not usually into bath salts. I’ve been lucky, recently, in getting some that do bubble relatively well, and make the bath water a pretty color. These barely bubbled (again, they’re bath salts, which aren’t usually for bubbling), and while the water was whiteish at first, by the time the water was off, the color (and bubbles) were gone. Also, these were lavender scented. Lavender is a really helpful scent for a lot of people; it’s good for calming and relaxing. That makes it a good match for the Unplugged box, where the whole goal is to chill. But I abhor lavender. I think it’s an obnoxious scent, and sometimes it even gives me a headache. Luckily for me, the scent wasn’t very strong with this one. There was strong lavender at the start, but it petered out pretty quickly. I think this is an item that just wasn’t for me. 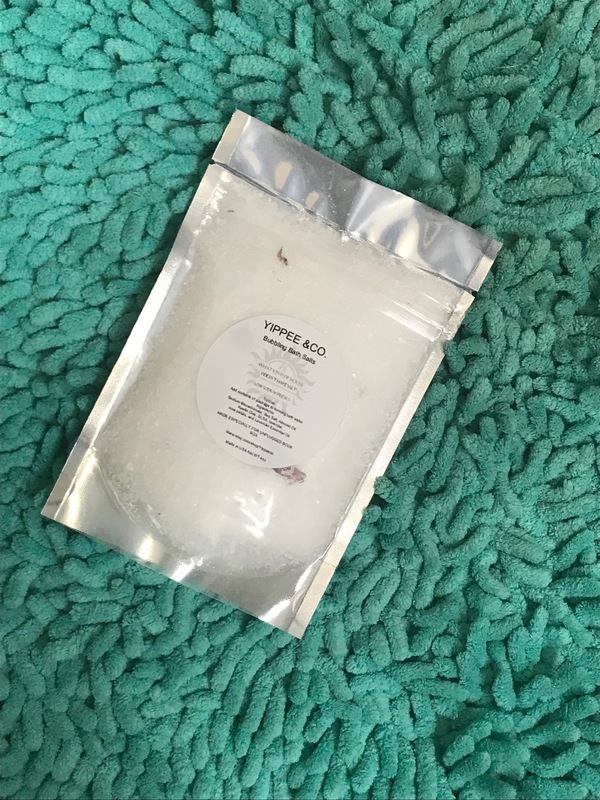 I will most likely be trying out another of Yippee & Co’s products, because I doubt they will all be ones that aren’t for me. But this one just really missed the mark. I hope everyone who received an Unplugged Book Box in March enjoyed this item (and the many others inside it). I wish this was for me, but it just wasn’t.